To see a nightingale in your dream refers to good sentence, compliment and a person who will decide instead of you. To see nightingale in your dream implies that you will hear complimentary sentences and you will be appreciated.You will also hear sentences that stroke your ego from your partner. To see a dead nightingale in your dream refers to gossip friend. To kill a nightingale in your dream implies that you will give harm to the person whom you love with because of one gossip. To hear nice and melodic nightingale voice in your dream implies that the person who leads you and affects your decisions will guide you. To see a speaking nightingale in your dream implies that you will confess your love. If you speak with a nightingale in your dream, it refers to a love which increases mutually. To see that you hold the nightingale in palm in your dream signifies that the other person will explain the issue instead of you. You will send word to someone. To see a nightingale’s nest in your dream refers to peace and happiness within family. To see a nightingale in cage in your dream implies that you will prove the truth against a bad condition. You will embarrass this person. 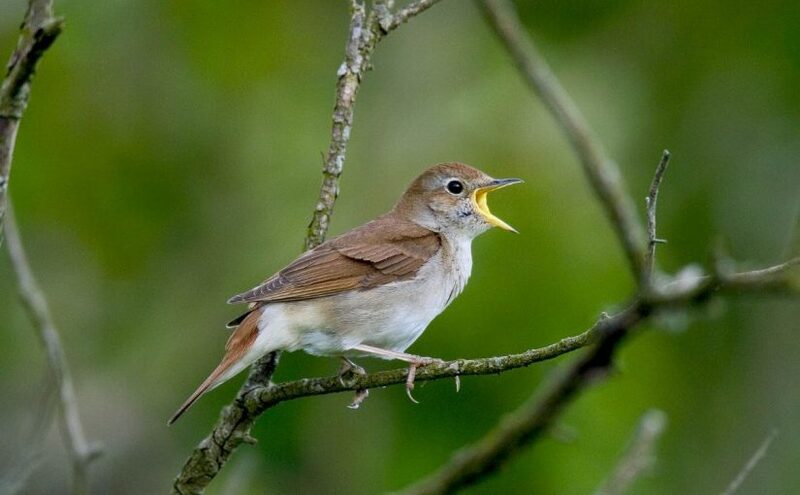 To dream that you catch or hunt nightingale implies that get the better of your competitor by saying good sentences and making a conversation. You will learn her/his weak points by earning your enemy’s trust. To see a baby nightingale in your dream implies that you will have benediction from your family. To see a nightingale’s egg in your dream signifies that you will misunderstand a word that you heard about yourself. You will break someone’s heart wrongly.